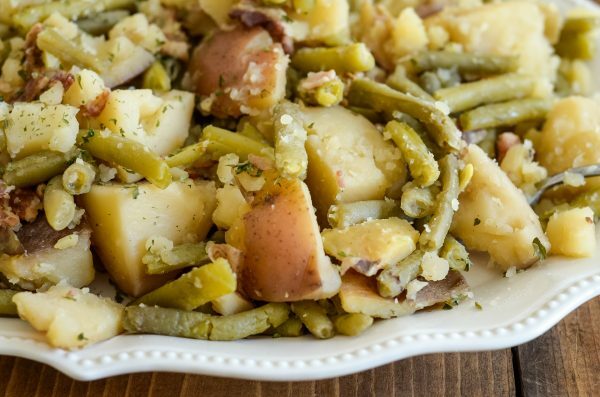 Make a delicious side dish with these Slow Cooker Green Beans and Potatoes! One year when we had our garden, we had an abundance of green beans. So many green beans, I wasn’t even sure what to do with them all. We ended up freezing a bunch of them but my husband also requested that I make some southern style green beans and potatoes. I’ll admit that at that time I had no idea what that meant. That was when I was completely new to cooking and anything outside of spaghetti…was outside of my realm. 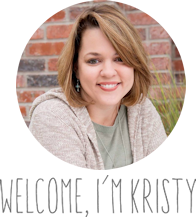 I ended up though figuring it out and who knew that really Slow Cooker Green Beans and Potatoes are SO EASY! 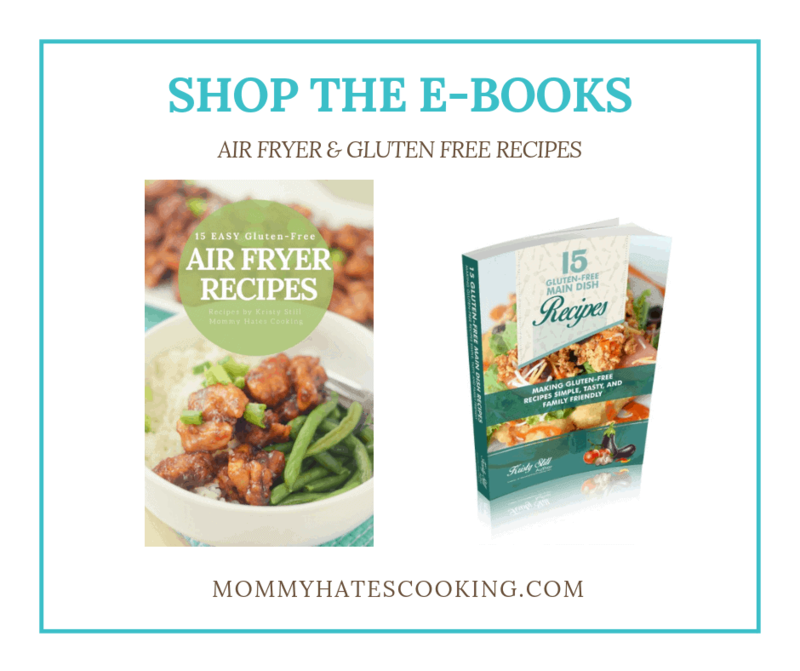 What do you need for Slow Cooker Green Beans and Potatoes? 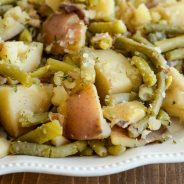 Should you use canned green beans or fresh green beans for Slow Cooker Green Beans and Potatoes? The honest answer is that you can use either. Our preference though is fresh, snapped green beans. These are really great to use right from your garden or to grab at the farmer’s market. 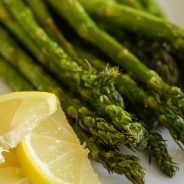 I find during the summer months, you can pick them up super cheap at the farmer’s market or even your fresh market in town because they are in season. If you prefer canned green beans though, by all means, yes you can use those as well. 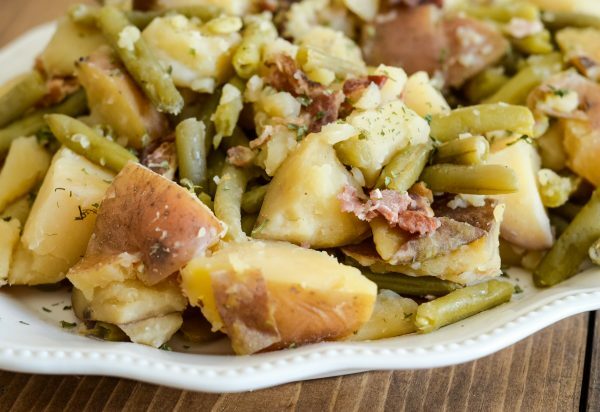 Do you have to add bacon to Slow Cooker Green Beans and Potatoes? I suppose you do not have to add bacon; however, it does really help with the flavor. I find it’s a great crunchy taste to be with the green beans and potatoes. They are going to be very soft and the bacon just really compliments it well. 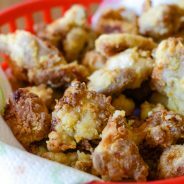 I made these with my Ninja Foodi, so I simply cooked the bacon first, and then drained it and added all the ingredients to use the slow cooker feature. We also prefer to leave the skin on the potatoes; however, they can be peeled as well. This is not highly salted, so you will want to add salt or pepper to your taste once it’s cooked. The bulk of the salt will be coming from the bacon that is used. 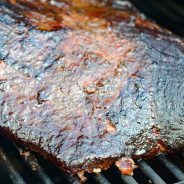 These pair perfect for barbecue recipes like Smoked Brisket or with a tasty Air Fried Chicken. 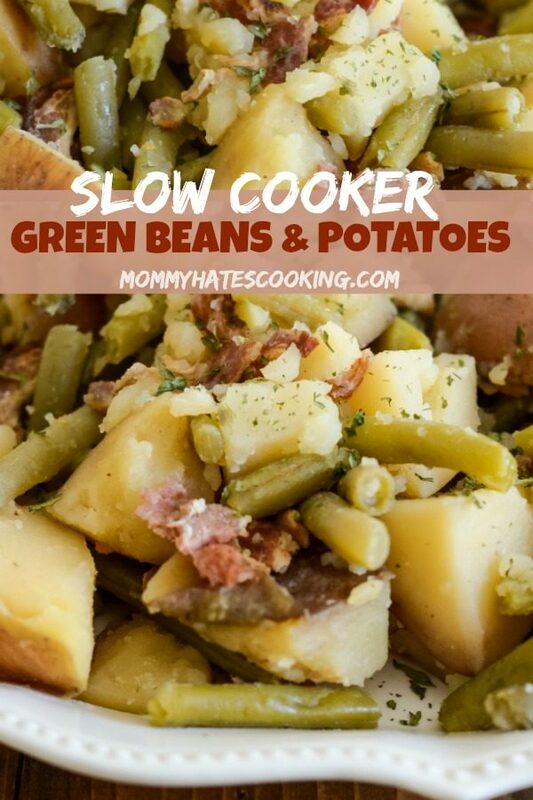 Now it’s time for a delicious serving of Slow Cooker Green Beans and Potatoes! 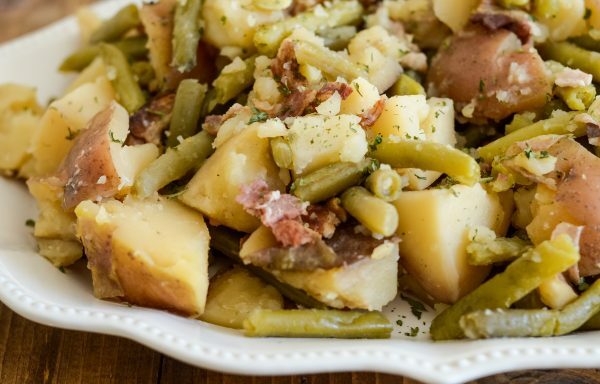 Make delicious Slow Cooker Green Beans and Potatoes with this simple recipe! Begin by crumbling the bacon. 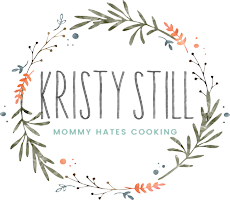 Using a 6-quart slow cooker, add in the bacon, potatoes, green beans, and onion. Pour chicken and water over the top of potatoes and beans. Use a slotted spoon to serve so the broth can run out. 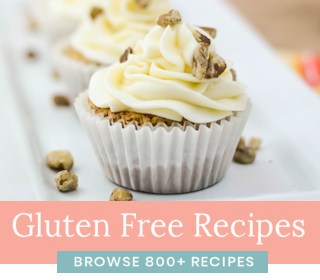 do you think it will work with russet potatoes? i have a lot of them right now. Yes I’ve done it with those too.